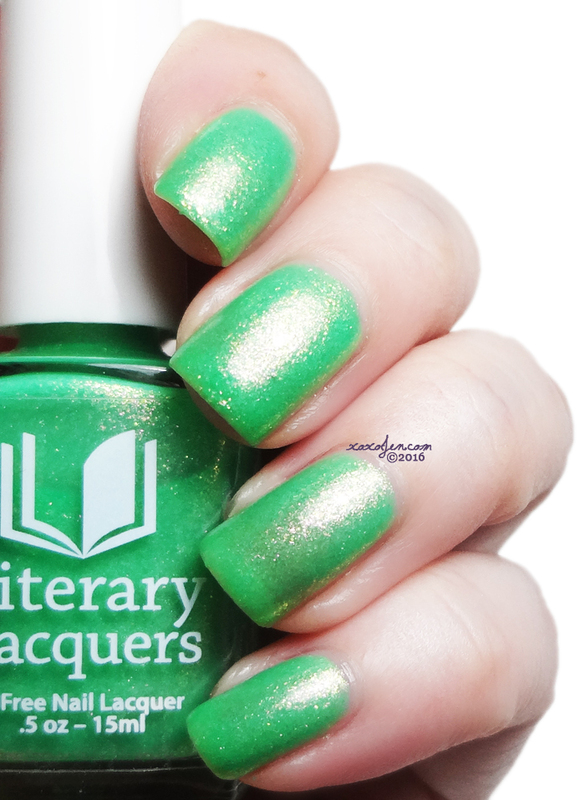 Ever After and Literary Lacquers have joined together to create this Peter Cottontail themed quad just before the Easter holiday! It is scheduled to launch on Sunday 3/20 at 2pm Central at the Ever After shop and will be limited. 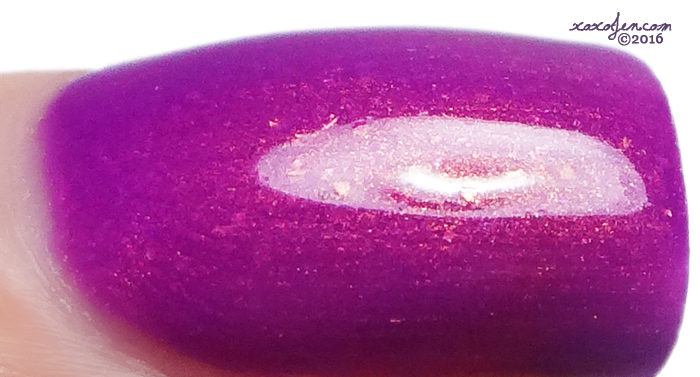 Cotton Tail - A bright summery violet shade with orange shimmer in varied sizes. I wore two coats and top coat. 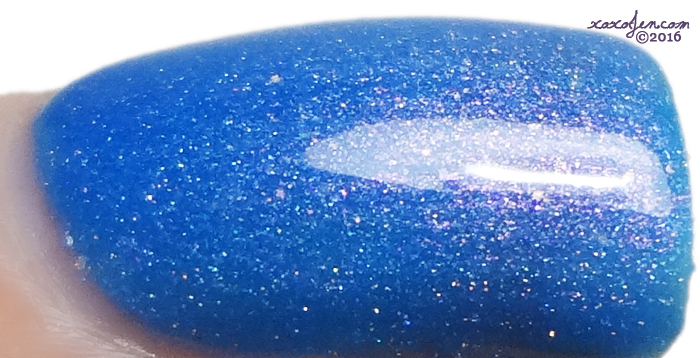 Peter Rabbit - a bright sky blue with red shimmer in varied sizes and scattered holo. I wore three coats and top coat. I'm sorry to say that my lighting seems to have vanished the red shimmer, but it is there and visible on the nail. 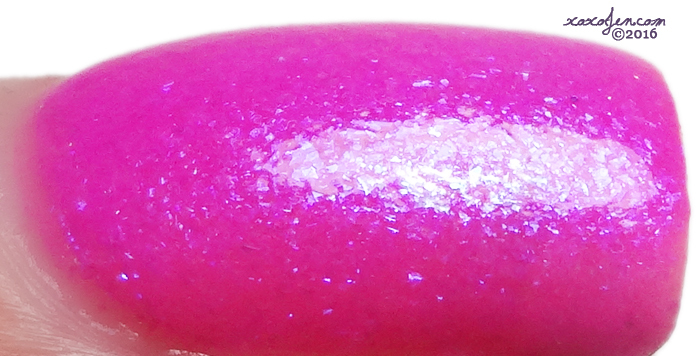 Flopsy – Creamy bright pink-magenta with contrasting blue shimmer. I wore two coats for opacity, but I am heavy handed when I polish. The brand suggests using 3 thin coats. Mopsy – Creamy Easter grass green with contrasting pink shimmer. I wore two coats for opacity, but I am heavy handed when I polish. The brand suggests using 3 thin coats. 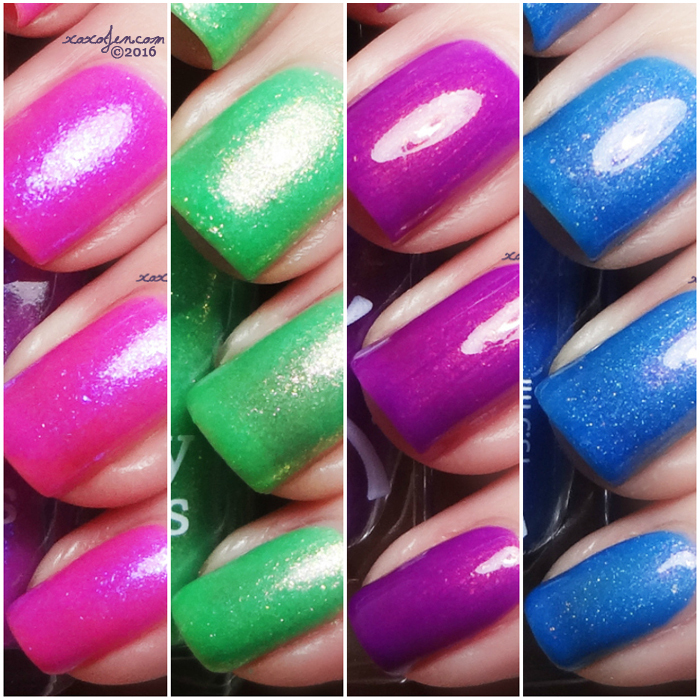 The formula for all these polishes was perfection, as I've come to expect from two of my favorite brands. The pairing of the brands could not have been more perfect! I mean just look at these - they are all beautiful! I hope you love these like I do and snap them up quick, as they are limited. All of the shades are looking good! I thought the same! I love brights like these. The flakes and shimmer in these are amazing!! These are all stunning! They go great together, too! I love every single one of these shades! So sweet! I love the inspiration behind them and the finishes are too gorgeous! Thank you for sharing! :D Definitely a fave of mine!